An adult male Phalangium opilio. Image courtesy of Arthropod i5k website. The eupnoid harvestman ﻿﻿Phalangium opi﻿lio﻿﻿ is a relatively large species with a broad temperate distribution and lays multiple, large clutches of synchronously developing eggs. These qualities make this species an excellent choice for study of development. Late stage embryo of Phalangium opilio in the egg; black spots are developing eyes, bands are prosomal segments. 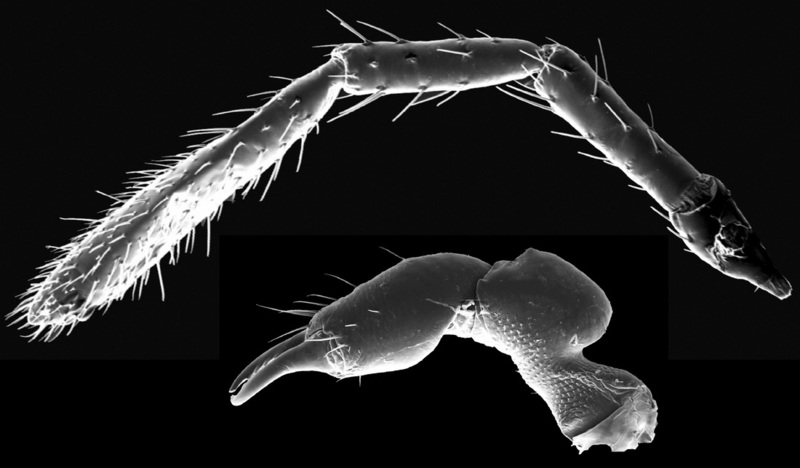 In collaboration with Dr. Evelyn E. Schwager and Prof. Cassandra G. Extavour, gene expression protocols have been optimized for study of embryonic development in the harvestman. 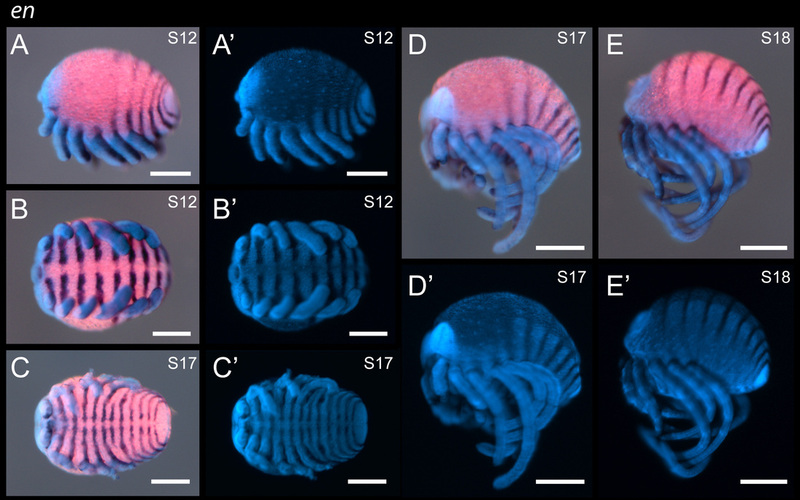 Below are images of harvestman embryos, indicating expression domains (in black) of the segment polarity gene engrailed. For more information, click any image below.